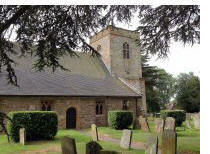 This delightful circular walk starts from The Hollybush public house in Priors Marston. An easy walk of just over 5 miles, mostly across flat farmland and passing through splendid woodland. There are only a few inclines. During the first half of the walk you will enjoy the delights of The Millennium Way where you will be guided by the black Millennium Way waymarkers. Find out more about the walk by clicking on the information icon. With your back to The Hollybush pub, go left down the lane to the corner then straight across down the alleyway signposted to the Church. Go through gate into the churchyard and stay ahead keeping St Leonard's Church (c1863) to your left to exit via gate ahead, passing thatched cottage left to a lane. Go straight across lane and stay on narrow path to pass the Old Vicarage on right. On reaching a driveway go left, cross over road and take signed footpath just to the left of red post box. 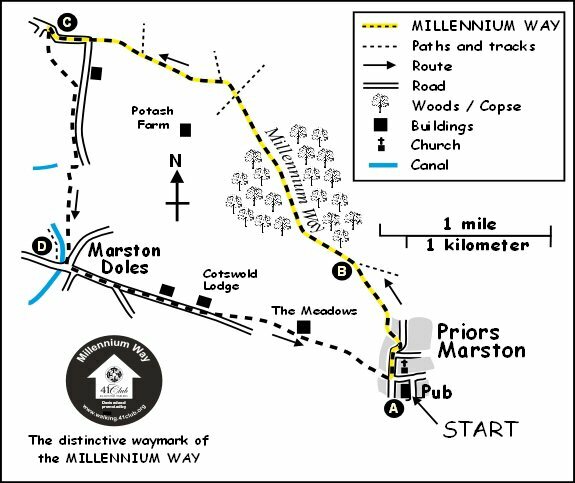 Here you will see the first distinctive black Millennium Way waymarker and these will guide you along the first part of the walk to point C. Go down track alongside Priors Hall and at the end of the track cross the stile and bear 1/2 right to pass along the rear boundaries of houses to exit by stile. Continue on to pass through two pony paddocks via stiles. 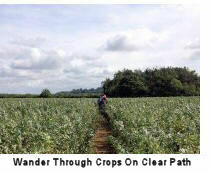 On entering a larger field cut across the near left hand corner, by stile, to reach timber bridge ditch crossing. Cross ditch and bear 1/4 right. The next stile is visible beneath a line of trees. Cross stile and go 1/2 left to find corner stile. Take stile then cross ditch bridge and go left on turf track (bridleway) bordered by line of trees with hedge and ditch left. Follow the way between a line of trees on a wide track. The path continues between line of trees then climbs a shallow incline, and continues ahead. The path then descends, passing through a steel gate eventually giving onto a field of pasture. Maintain same direction down field with fence left towards the village of Napton just visible through the trees. Come to full width metal gate. Go through gate and head down to far right corner to find metal gate. Take gate and go with hedge right for some 100 plus paces to take another gate right, (From here you have a lovely panoramic view with Napton-on-the-Hill just ahead) then go ahead with hedge left. Exit field via bottom left corner gap and continue ahead with hedge left to reach metal gate. Pass through gate into another large field and continue along edge of this field with fence and hedge right. Notice a farm appearing a few hundred yards to your left. When you draw level with the farm take the large gate which leads to a minor road. Continue ahead up the road passing Panthedge Barn on right ( note the 1890 date mark etched in dark bricks on side wall.) You have fine views of Napton-on-the-Hill to your right. Stay on road round gentle bend and approximately 50 yards before the junction, just opposite a metal roofed barn, take the stile left into field. (Here we are leaving The Millennium Way) Go diagonally 1/2 left across field, along an ill-defined path, aiming for a wide gap at the end of the tall hedge over to your left. Go through gap passing a large wooden post (with no way markers) and continue on same line diagonally across next field heading towards a mid fence stile. Take stile into field and go diagonally left towards top left corner of field. About 20 yards in from the corner you will find a stile in the hedge gap. Take stile into next field and go 1/4 left towards a large metal gate adjacent to road. 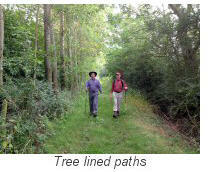 On reaching gate, stay in field and go along field edge keeping hedge and trees left. Cross field boundary marked by a thin line of small trees then eventually cross a small ditch, still following parallel to minor road on other side of hedge. Shortly you reach a second large metal gate. Go past this gate and after 50 yards go 1/4 right to reach a mid hedge stile, some 30 yards in from corner of field. Take stile into next field. Go 1/4 left in the direction of the yellow way mark to find another way marked stile at top of field. Cross stile and continue directly across centre of field towards visible waymarker disc to take mid hedge stile and plank bridge into next field. Go directly across centre of field aiming for large yellow waymarker disc to take the adjacent double stiled wooden bridge across ditch then continue forward on path to emerge into field, then through wooden gate & stile. Continue along with wire fence left and canal right, to exit field by gate, and ahead through narrow field to exit by large metal gate to road a few yards to left of canal bridge. Go left on main road for just over 1/2 mile. The road climbs gently past Nedge Hill Farm and Cotswold Lodge. Where the road flattens out you will see a communications tower directly ahead and approx 100 yards ahead on left take a gated gap (not waymarked) into large field. Go right with hedge right then cut diagonally left across field corner to reach mid-hedge yellow topped waypost. Cross wooden plank bridge into field then go directly across field passing just to left of clump of trees then staying ahead to field corner. Turn right at field corner to cross small wooden bridge into short section of woodland. Go along woodland path to emerge by waypost. Cross the stile here and go diagonally 1/2 left to cross corner of field aiming to left of house, and take mid hedge stile to emerge between barns left and house right. Continue forward between the barns and house then cross directly over farm track and stay with hedge left to head in the direction of the communication tower in the far distance. At the field corner go through metal kissing gate just to left of large double wooden gates. Go 1/4 right across centre of field to reach far right corner. Here take the kissing gate to reach the road. Cross road and go up School Lane, turning right at the corner into Holly Bush Lane returning to your starting point at the Hollybush Inn. (After taking some refreshment at The Hollybush, you may wish to stroll around the attractive village of Priors Marston to visit both the ancient church of St. Leonards and the war memorial). 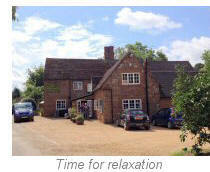 The Hollybush a 16th century inn with an excellent restaurant, can provide refreshment if needed. 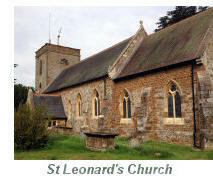 The Church of St. Leonard is largely a Victorian rebuilding from 1863. The remoteness of the village meant that it only received a mains supply of electricity in 1934 and of water in 1948. The site of the old wharf, just above Marston Doles lock. The old lock keeper's cottage and the stable block for the boatmen's horses can be seen to the left of the lock. These buildings were extensively renovated in 1989 and used as the local British Waterways offices for 4 years after which they have been occupied by private business. 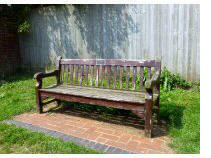 This seat is beside Oxford Canal lock 16 at Marston Doles. 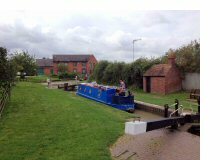 It commemorates Esme Dowling, a popular and long-standing canal employee who worked as a lengthsman and lock-keeper on this section during the 1950s, 60s and 70s.